The panoramic view from here is nothing less than breath-taking: the green bay of Keri Lake (Limni Keri), Marathonisi island and the turquoise waters of Zakynthos Island create a unique feeling that will make your summer holidays experience in Zante heavenly. Re-discover the joy of pure relaxation in the unparallel comfort of the villa. Indulge to the enchantment of Zakynthos’ beauty, serenity and luxury of pure perfection. 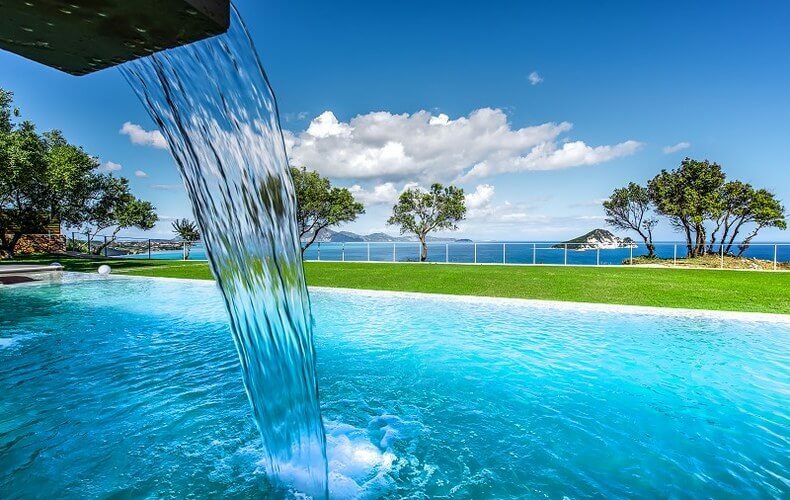 Artina Luxury Villa in Zakynthos is not just another luxurious accommodation in the Greek Islands. Beyond the luxurious environment, the absolute comfort, the ideal location with the spectacular views, the offerred amenities and services, Artina is mainly about its people, about us, the authentic Greek hospitality, the will to help you with all your requests, the discretion, and our simplest yet more valuable asset, our smile. Welcome to Artina Luxury Villa. Welcome to pure perfection. This slice of paradise will definitely suit your luxury holiday needs and preferences. A well-stocked pantry, a modern pool, spacious and clean rooms, and a personalized experience for you and your loved one. Wake up with a view of the cerulean waters of the Ionian Sea and its gem Marathonisi Island, bask and lounge under the Mediterranean sun for that unique Greek glow, or just laze the day away enjoying your surroundings – nothing could get better than this. 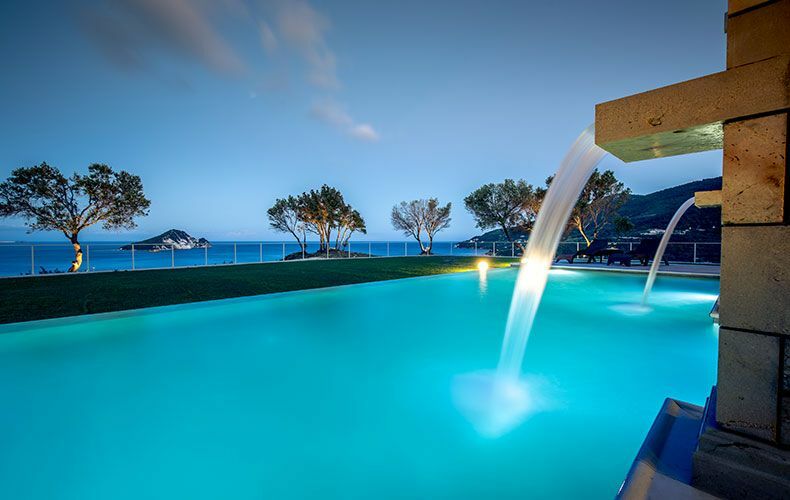 One thing’s for sure, you can never find a villa in Zakynthos like Artina. 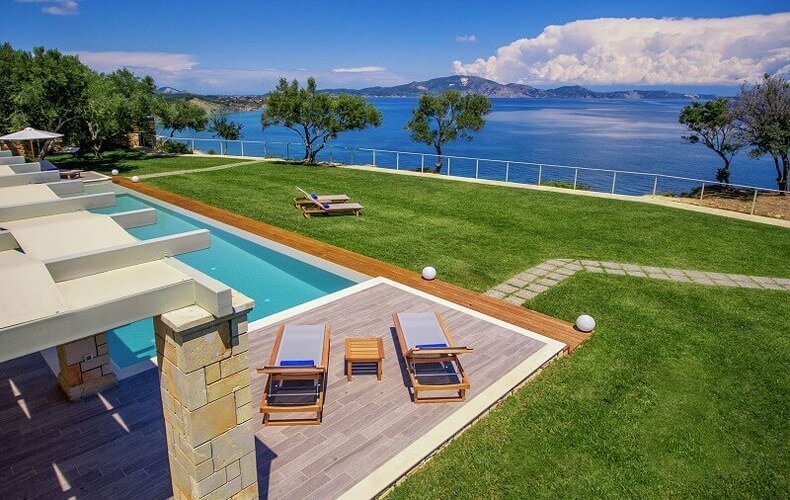 Artina Luxury Villa in Zakynthos makes your dream vacation a reality as it serves as the ultimate retreat for relaxation. 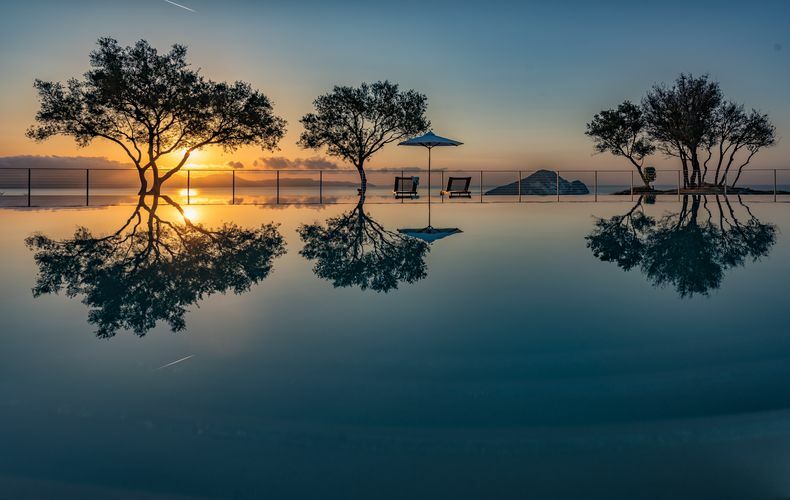 It’s comfortably situated near the town for a day of exploring Greek culture or a night of partying but away from the crowds when you’re in need of peace and solitude. Have a private yoga or pilates session with a certified instructor. Play with the kids at the heated pool or playground. Request a romantic dinner for two or a hearty and healthy spread for the whole family – your private chef will make sure that you have the most sumptuous meal for the whole duration of your stay. 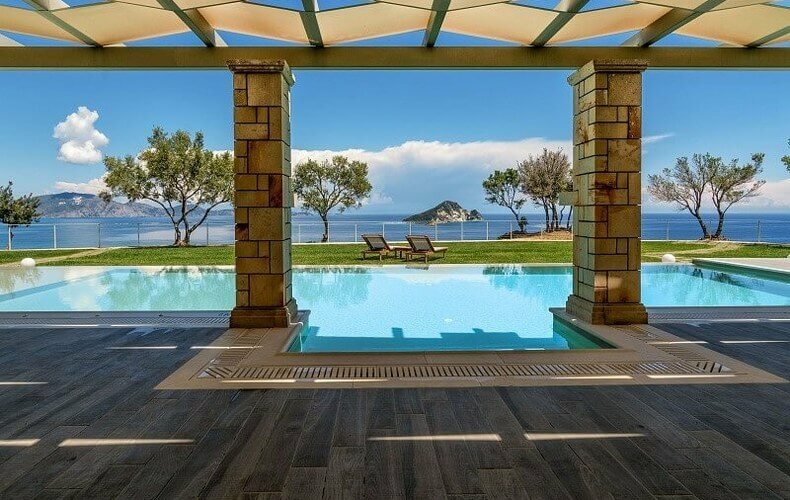 Your escape in this luxurious Greek Islands villa is something that you will surely remember forever. You don’t need to stress over finding the sweet spot in Greece because you can do your Greek islands wedding here! Exchange your "I dos" because Artina Luxury Villa will serve as venue for your happily ever after. Planning your Zante wedding will be easy and breezy as the villa has an all-in package that includes ceremony, reception, and honeymoon. You can also customize your menu as they have a number of catering options. Enjoy the villa’s pre-wedding beauty treatment to make sure that you stay fresh and glowing as you walk down the aisle. This is truly where romantic beginnings and happy endings happen.